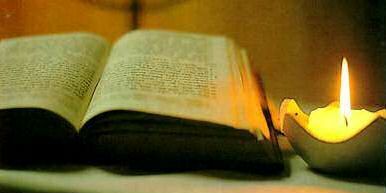 Divine reading is a well-established staple of the spiritual diet: a reading from scripture to focus the mind on matters of infinite and abiding meaning. All it takes is a quiet 15 minutes ( right now in my office) to first clear my mind of all the clutter by noticing the contents of the clutter and then gently pushing it off to the side, then read slowly and with full attention. After reading, be still for another 60 seconds to let the words sink in, and then jot down some spontaneous thoughts that the words inspire. After this brief time set aside for the purpose of “prayerful reading,” just 30 to 60 seconds of quiet breathing and then off to the next meeting or task. What reading to choose today? Well, one can establish a preset schedule of reading, or, go about it as did St. Francis: choose randomly and spontaneously. I do believe that synchronicities abound (meaningful coincidences that appear purposive and strongly connected especially on reflection). So, I am electing a random walk through my library this morning and that finds me grabbing the Dhammapada ( according to Eknath Easwaran, something of a Buddhist equivalent of the Sermon on the Mount). This short verse really captures my imagination today. We are told that we are what we eat. No problem seeing the truth of that. We digest our food and it is converted into needed energy. If we eat overly rich food in quantities too great,we get stomach sick, bloated, listless. Since mind and body are inseparable and the body is the stage on which the persona of Mind presents its inner drama to the world, we are what we think even more surely and immediately. A daily diet of angry thoughts will certainly do more than render our facial non-verbals unfriendly. It will take a toll on the whole body in time. Pessimism and cynicism sour the air around us and draws down the light. In ancient times, the word for priest was “phoster,” or light-bringer. Under the weight of dark thoughts our inner light is dimmed affecting all of ourselves and those around us. May today be one in which our thoughts give testament to the Light and in so doing act as catalyst for the well-being, Light and joy of everyone we meet! © Brother Anthony Thomas and Harried Mystic, 2009. Unauthorized use and/or duplication of this material without express and written permission from this blog’s author and/or owner is strictly prohibited.